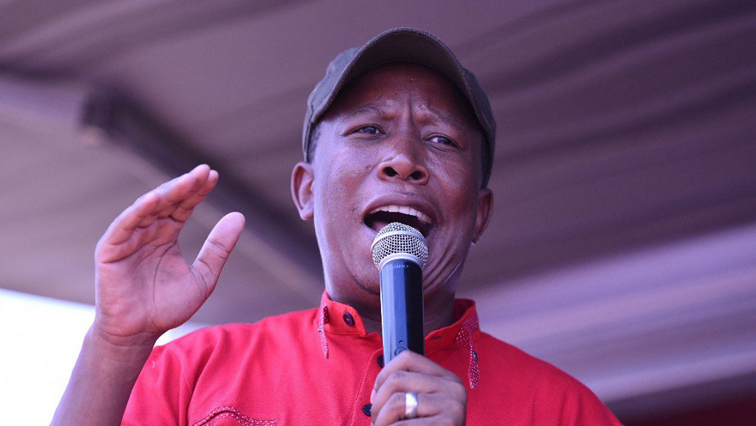 The land issue is synonymous with the EFF: Malema - SABC News - Breaking news, special reports, world, business, sport coverage of all South African current events. Africa's news leader. Julius Malema says the land question is a serious issue. Economic Freedom Fighters (EFF) leader, Julius Malema, says under the party’s government they will guarantee South Africans’ education on the importance of land expropriation. The EFF has widened its scope for the expropriation of land by also targeting game farms. Malema told supporters in Soshanguve, north of Pretoria, at the weekend that the first nationalisation experiment would focus on bringing game farms under state control. Speaking to the South African Broadcasting Corporation (SABC), Malema reiterated that his government would ensure the amendment of Section 25 of the Constitution to allow the expropriation of land without compensation. “We have to reconnect the voter with the land. They’ve lost interest, they’ve got no connection with the land and they think it’s so meaningless. They don’t know what land can do until you own one, so our intention is to reconnect the voter with the land. We will make the voter fall in love with the land again and understand that their problems can be resolved by the land because when the colonisers came in, the first thing they took was the land. That’s how much they appreciated the importance of the land,” says Malema. Malema says the land question is a serious issue. “The land issue belongs to the EFF. Even if you’re in a queue and someone is talking about land, someone is going to say are you EFF because you can’t take it away from the EFF. It’s a synonym for EFF,” says Malema. This entry was posted on 04 Feb 2019,07:00AM at 7:00 AM and is filed under Politics. You can follow any responses to this entry through the RSS 2.0 feed. Both comments and pings are currently closed.